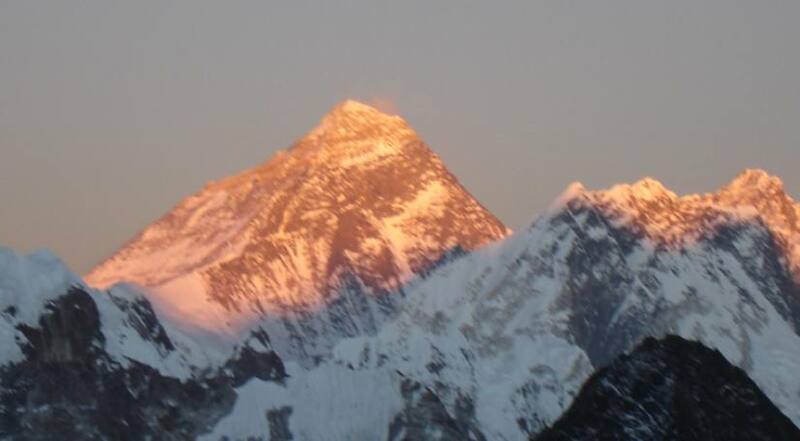 Classic Everest Base camp trek is also known as the Hilary trail or Everest base camp classic Trek. This three weeks trek reaches a significant height of 5545m, at Kala Patthar, a small peak offers a magnificent view of Mt. Everest and neighboring mountains. The most popular trek to Everest base camp has a number of stunning attractions, not least of these is being able to say you've visited the highest mountain in the world. In addition, there's the spectacular scenery and the out-going Sherpa people of the Solukhumbu region where Mt. Everest and its attendant lesser peaks are. The trek from Jiri to Everest base camp is a combination of nature, culture, religion and well acclimatization get to base camp. Classic Everest base camp trek starts at Shivalaya after about 8 hours driving from Kathmandu and passing the lower Khumbu, cross the valley, climbing up one side, again dropping down steps through the forest of rhododendron, pine, and diversity of cultural villages. After reaching the Everest base camp, you will return back following the same trail until Choplung and diverting to Lukla where the wonderful Classic Everest base camp trek ends. If you have short time starts the trek from Jiri or Shivalaya, one can start from Salleri (Lower Everest Region), where can reach by jeep from Kathmandu.